Cetis Costa Rica Partners Install TeleMatrix 9600 Series Hotel Phones At New Hilton Garden Inn San Jose La Sabana. Hilton Garden Inn San Jose La Sabana, located at Boulevard de Rohrmoser, La Sabana, San Jose, Costa Rica, has selected TeleMatrix 9600 Series cordless hotel phones for installation in the property's 115 guest rooms. TeleMatrix 3300 Series corded lobby, and 3300TRM corded trimline family sets have also been deployed throughout the hotel common areas to provide a consistent design and performance integration. One TeleMatrix 9600MWD5 single-line cordless speakerphone in black, and matching 9600 remote cordless handset kit have been installed in each guest room by Cetis construction company partner Grupo Leumi, in partnership with Revtec revolution technologies. Click here to book a reservation at Hilton Garden Inn San Jose La Sabana. Click here to request product and pricing details on TeleMatrix brand hotel phones. 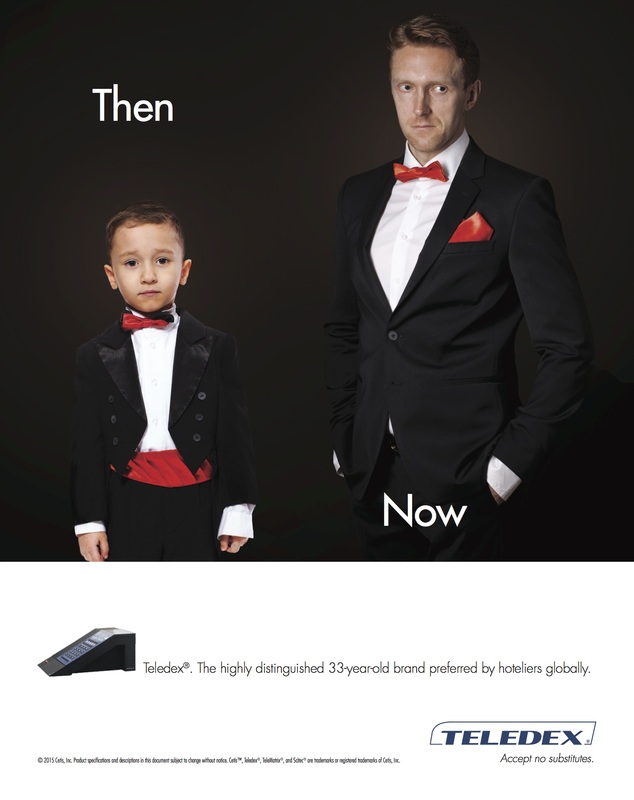 Advertisement Heralds 33 Years Of Teledex Service To The Hospitality Industry. In a full-page ad in the September issue of Hotel Management magazine, the Cetis heralds the distinguished 33-year record of Teledex® to the global hospitality industry. In 1982, Teledex invented the very first hotel telephone. Since then, more than 15 million Teledex brand hotel phones have been installed in 125 countries, making Teledex the most recognized, trusted, and preferred hotel phone brand in the world. Teledex is the inventor of the first hotel phones with programmable guest service keys and custom faceplate design, and the innovator of a host of hotel telephone technologies, including smart M Series Bluetooth pairing integration, high fidelity speakers for sound streaming and enhanced speakerphone calling, built-in USB charging ports in both analog and VoIP configurations, and much more. Acquired by Cetis in 2009, the Teledex brand continues to set the design, engineering, and performance standards for the hotel phones. And while others may copy Teledex style, they can’t copy Teledex innovation or quality. Or Teledex history. Click here to view the complete Teledex product line, including 6 distinct Teledex hotel phone design families available to meet a variety of hotel property applications. Cyber Monday. Is Your Hotel Taking Advantage of the Largest Online Shopping Day of the Year? Hotel Facebook growth and engagement by type/features. As hoteliers prepare for the Holiday Season and Q4 occupancy needs, there's a one-day event that has become a holiday all on its own that hoteliers simply can no longer ignore: Cyber Monday. This year Cyber Monday falls on November 30, which is perfect for generating last-minute holiday bookings, but most importantly, secure business for the dreadful Q1 2016. Is your Holiday Season strategy ready? In 2014, Cyber Monday sales exceeded $2 billion, making it the biggest online shopping day of the year. So what does this mean for hotel brands? According to Google, an astounding 40% of these online shoppers are interested in travel deals and Cyber Monday related searches grew 29% year-over-year with smartphone queries up during Cyber Week by 18% year-over-year, making it no secret that shoppers are online and ready to book travel during Cyber Monday. But how can hoteliers prepare? The time between Thanksgiving and Cyber Monday is critical with travel deal research starting before Thanksgiving and seeing its first peak of the season on Cyber Monday. Google also states that even after Cyber Monday, New Year's travel planning is already top of mind, especially for top cities such as New York, Las Vegas, and San Francisco. This reveals just how vital it is for hotel marketers to capitalize on post-Cyber Monday traction and buzz to answer any last-minute business needs or low occupancy. In light of this, hoteliers should consider building a robust multi-channel campaign plan including three phases: Pre-Sale, Cyber Monday, and Extended Sale. Click here to read the entire article at Hotel-Online. 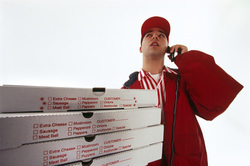 “I'm here delivering at the airport hotel right now, not downtown!" In a world without room phones will the pizza that your guest ordered on their cell phone arrive at the right hotel? Imagine a guest in your hotel standing in a doorway shrugging their shoulders and telling the pizza delivery man, “I didn’t order anything! ", while the guest who actually placed the order on their cell phone is told that their pizza is being delivered to the airport hotel rather than the downtown property where the guest is staying. A more reliable, guest-friendly solution is to place Cetis phones with pre-programmed guest service keys in every room...and in this case pre-program one of the guest service keys to the local pizza restaurant and earn monthly telecom revenue from the restaurant in return for "leasing" the guest service key. The moral of the story is that in a world with room phones, you can help ensure a positive guest experience, and drive new property telecom revenues. Need hotel phones with pre-programmed guest service keys? Reach out to your Cetis-certified dealer partner today. Click here for a dealer referral in your area. In partnership with m2 Lease Funds, Cetis offers a nationwide general equipment finance and leasing options for Cetis hotel phones. Cetis is committed to serving vendors and businesses where relationships matter. Our team works hard to understand your industry and company‘s unique needs, provide responsive and personal service, and develop the right funding solution for your success. Flexible plans to meet any budget, including step payments, seasonal payments, or quarterly payments. Progress payments with no additional fees. Application only for transactions up to $100k.